textile, fertilizers, cement, glasswork energy and pharmaceuticals. PCJCCI President, Shah Faisal Afridi and other office-bearers of the chamber discussed the plan at a monthly review meeting here on Wednesday. maintain a sustainable process for paving way of joint ventures between Pakistan and China under China-Pakistan Economic Corridor (CPEC). The CPEC, he added, was the dynamic portfolio of various projects with the investment started from US $ 46 billion and now reached up to US $ 59 billion with the addition of new projects. “The mega project is going to provide us with the enhancement of geographical linkages having improved road, rail and air transportation system with frequent and free exchanges of services,” he mentioned and underlined the need for people to people contact for enhancing understanding through academic, cultural and regional knowledge. 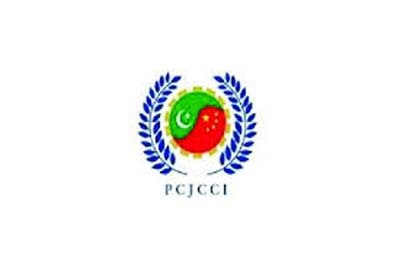 Afridi noted that a number of special measures had been taken by PCJCCI to fill in the gap in people to people communication, for which as a first step strong efforts had been made to overcome language barrier. a broader level this year to spread awareness and information in Pakistan regarding the Chinese ways of celebration and festivity. importance of social cohesion, a pivotal agent for a peaceful society.